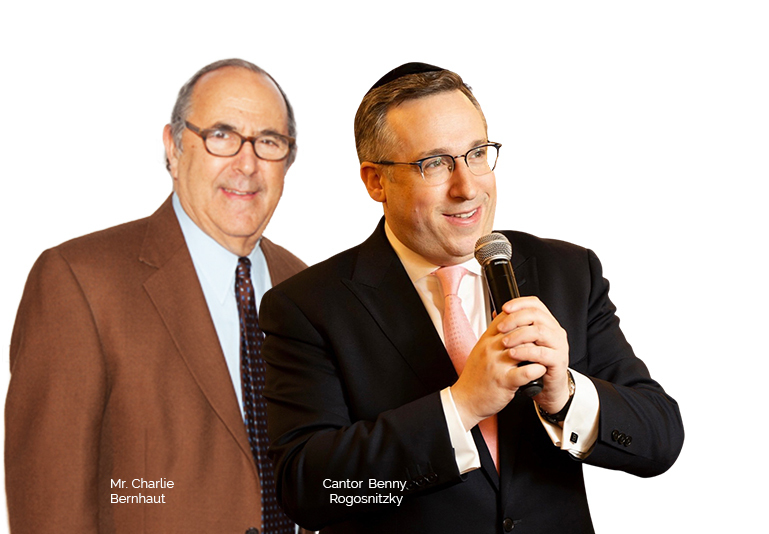 Cantors World was founded by Cantor Benny Rogosnitzky and Charlie Bernhaut in January, 2003 with the goal of helping to revive interest in traditional chazzonus through quality and creative programs. Their concerts have drawn sold-out crowds with a varied audience, from the most religious or Chassidic background to the unaffiliated and extremely secular. It is this unique aspect of our religion -traditional chazzonus - that attracts Jews from across the religious spectrum to gather together for a mutual, Jewish, spiritual and cultural experience. A key goal of Cantors World is to continue to promote the role of the cantor in bringing inspiration, dignity and beauty to the prayer service. through quality & creative programs. Programming consists of several annual concerts and unique presentations such as 'An Evening of Preparation' for the High Holy Days, a cantorial 'Talent Search', and special 'Shabbat Chazzanut' weekends. The weekly radio programming presents a full hour of non-commercial chazzonus every Thursday night at midnight over WSNR, 620 on the AM dial. Benny and Charlie are grateful for the support and enthusiasm that their efforts have generated. an awareness of the role and importance of the cantor. You are encouraged to join with Cantor World's mission of reviving traditional chazzonus.